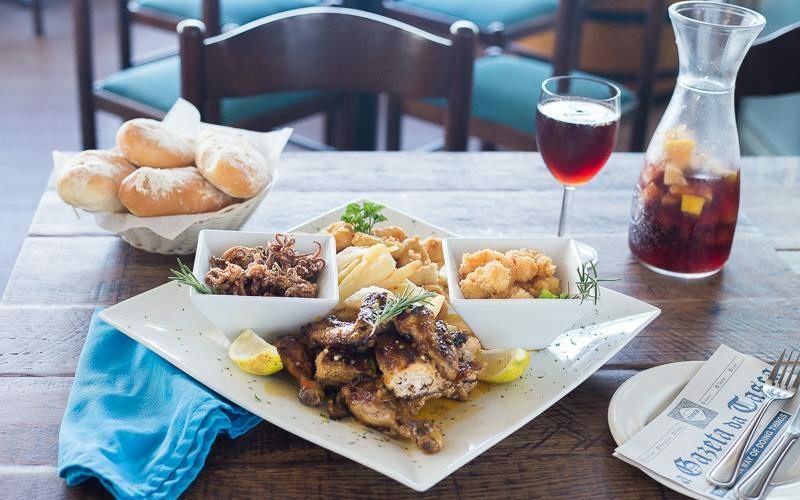 There’s nothing like a hearty meal to seal the deal on a weekend of seaside relaxation or sporting activity in South Africa’s sunshine capital. Apart from the obligatory bunny chow, you’ll find much to tempt your palate when you Fly Mango to Durban, from spiced pineapples to sumptuous seafood. Here’s where to go when you’re looking for something special in Durban on a Sunday afternoon. While it may not be your traditional meat and three veg, Sunday lunch at Butcher Block delivers a powerful punch of protein in the form of juicy steaks, sticky ribs and tender venison. You can add a salad if you want or go for one of the prawn, calamari, kingklip or salmon delicacies on offer. There are plenty of combos to choose from and regular special. You can choose whether you wish to be surrounded by crashing surf at the Ballito or Umhlanga franchises, hang with the trendy set at the Florida Road branch or gaze out over fields of sugar cane in Hillcrest. If you prefer your seaside eats to hail from the deep blue, Bamboo Sushi Lounge is your go-to in Umhlanga Rocks. These entrepreneurs are pioneers of the all-you-can-eat sushi buffet, and you can tuck in from 11:30 to 8 pm every Sunday. Those with smaller appetites will find combinations from 4 pieces upwards as well as delectable mixes of sashimi, towers, hand rolls and fashion sandwiches to suit. If you are squeamish about uncooked fish, go for the deep-fried calamari, prawns, chicken or tofu or one of the wok-fried treats on offer. There’s no such thing as visiting Durban without sampling the city’s signature dish – hearty, spicy and wholesome curry. Touted by TripAdvisor as the best place to get your Asian fix in Durban, Little India is a feast for the senses. Surround yourself with spicy scents and the glitzy colours of the East at this established eatery in Musgrave. Here you’ll find a scintillating mix of paneer, korma and tikka masala as well as vegetarian, vegan, gluten free and Halaal options. Don’t miss out on the chilli bites, they’re rumoured to be the best in town. This new kid on the block in Florida Road is already receiving rave reviews for it’s slow-cooked charcoal-grilled offerings.The Cuban sandwiches, bao buns and sliders are a smash hit of succulent pulled pork and brisket that‘s been simmering in the American-style smoker for 12 hours.If you’d like fries with that you’re in for a treat of fluffy mash interiors encased in crisp golden deliciousness and the tacos will do very nicely too, thank you. Craftsmen is open from 12 noon to 5pm on Sundays, pop in to see what’s on the ever-evolving menu. Are you looking for a traditional Sunday buffet? Then head for the Elangeni Hotel after your Sunday morning stint on the beach. This old-fashioned set up of cold meats, carvery, veg, curries and line fish id complemented with a grill for meat lovers and is on the go every day of the week. Plus, you get to choose from a range of desserts and a selection of cheese to finish. For a fitting end to your seaside adventure, why not go down under at the Cargo Hold. Set inside an aquarium, surrounded by fish tanks, the Cargo Hold offers a unique Sunday Lunch experience on the beachfront in Durban. If you don’t like to be watched by examples of what you’re eating, you can always settle for the lamb shank, beef curry, pork loin or one of the vegetarian options. It’s the perfect end to a morning spent enjoying the slides, dolphin shows and other attractions of uShaka Marine World. Wherever you choose to spend your Sundays, you are sure to find a flight that suits your itinerary and your pocket when you fly Mango, or check for cheap flights on our website. Go here for the best deals, no matter where or when you wish to travel. This entry was posted in Airlines, Best Places in South Africa, Durban Flights, Mango flight, mango flight prices and tagged Fly Mango. Bookmark the permalink.